As a leader, it is really important to deal with the here and now… in the here and now. Famous leaders are celebrated for being “forward thinking”, “visionary” or “strategic”. While thinking ahead is a critical skill for great leaders, it cannot be at the expense of dealing with things in the here and now. Sometimes the here and now can be overwhelming, particularly if what is happening now is particularly difficult. However, pushing things forward means it will pile up and be even more painful to deal with it later. 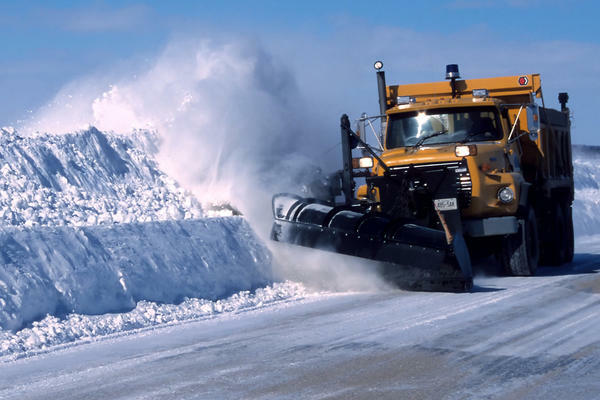 Picture a snowplow pushing forward snow. If you have ever had to dig out your driveway after a snowplow has gone by, you’ll know how painful it is to dig out, especially if you haven’t already removed the snow that fell. Some leaders wait to deal with an issue or make a decision with the hope that it will work itself out or become irrelevant. While that is a valid risk decision, rarely does a problem become better with age. How do you deal with the present but still remain a visionary? This is where your forward thinking skills come in. By determining when a decision needs to be made – before the snowplow comes through – you make it part of the here and now. In addition, if you are able to weigh the consequences of dealing with the issue later (when it has not resolved itself or become irrelevant), you will better be able to prioritize it against everything else on your list. No matter what, if you don’t deal with it now, set a date on when it has to be dealt with and stick to it. Otherwise, the snowplow may bury you. How do you balance the “here and now” with the “strategic”? ← Massively Multiplayer… Thumb Wrestling!